TPS worked closely with multiple partners to provide business structure and funding for the program of projects. Partners in this initiative included Further Arts, Southern Cross University, Youth Against Corruption Vanuatu, Bread for the World, and the International Centre for Non-Violent Conflict. The Dynamics of Civic Engagement Program is a suite of projects and activities geared towards increasing peoples’ engagement in all forms of civic life. This project supports citizen-based journalism activities in Papua New Guinea and the region. In conjunction with fest’napuan, Canal Studio, Wan Smolbag, and Village De Santo, Further Arts and theplanetspins coordinated digital media workshops for young people in Vanuatu. Funded by community donations, Southern Cross University, and theplanetspins. 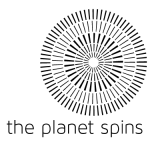 This project supports recently arrived migrant women in Australia including a weekend workshop sponsored by Southern Cross University in partnership with Sisterworks and theplanetspins. Funded by Southern Cross University, and theplanetspins. Delivered in partnership with the Centre for Tourism, Leisure and Work at Southern Cross University, the Oceania seminar on the dynamics of civil engagement was an in-depth and multi-disciplinary perspective on civilian-based movements and campaigns to defend and obtain basic rights and justice around the world. The seminar ran from February 23-26 2012.